Announcing: The Horror [or Horrible] Haiku Contest! This month’s official contest promises to be a lot of fun for all involved. Some of you may be nervous, thinking that haiku in English is difficult, and perhaps you are worried that your haiku won’t qualify as haiku. 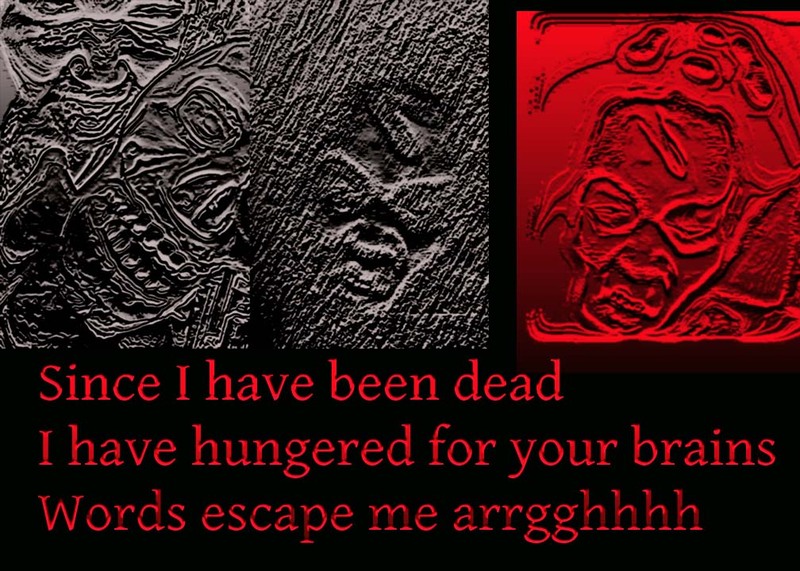 If so, you are not alone: also worry that my haiku is not haiku: so in order to ease your apprehension, I am offering an Entry Prize to everyone who even TRIES to write horror haiku! That’s right! 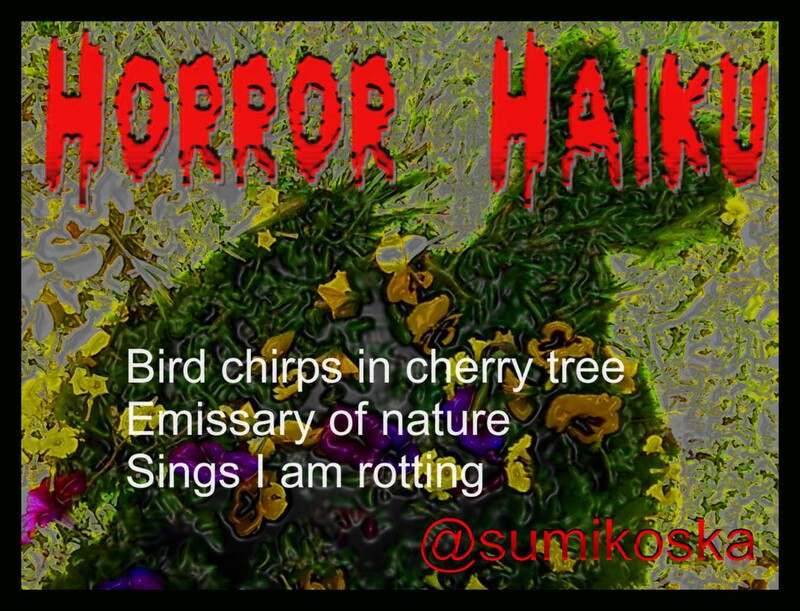 There will be a Grand Prize winner, and there will be a kind of door prize for every brave soul to attempt this thing called Horror Haiku, even if they are really HORRIBLE horror haikus. To Enter: Submit a Haiku, in English (or, if in another language, with English translation provided) to the Facebook page, where it will be voted upon by “likes”. Well: if you prefer NOT to deal with Facebook, you can just post your Haiku on Twitter with @sumikoska, because that’s my Twitter account – and I can put it on Facebook for people to vote on. Or, people can express support for it on Twitter. OR, you can leave it in the comments to this blog post, and I will repost it to Facebook. Either of those three methods would work. Because it’s less work for me and pretty pretty please. Spring is a season, amirite? The top winner gets one Proof Print of “Things That Go Bump In My Head”, a book which will be worth lots of money in the unlikely event that I ever become famous. And, I will sign it. And, to sweeten the deal, I’ll include a really awesome t-shirt. Your choice of Frankenzombie or Meathead. This is the most awesome prize packet we have offered so far here at “Things That Go Bump In My Head”, and it is of course in anticipation for our count down to the release of the book by that title (a short story collection) and my reading event the night before Halloween, “Haunting Laurel Boookstore.” But wait! There’s more! You will have YOUR HAIKU printed on the back of YOUR PRIZE WINNING T! So you will have a one-of-a-kind t-shirt with the book promo on the front, and your credited haiku on the back. Amazing! As always, all entries must be received by the end of the month (August 31, 2012) in order for a determination on the grand prize to be made the next day (September 1, 2012). 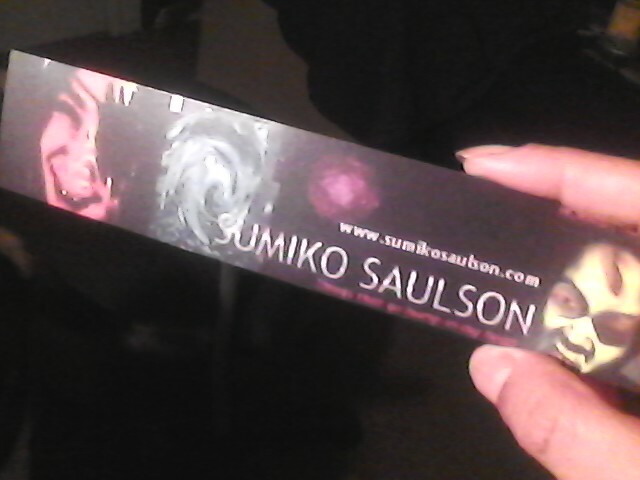 ~ by Sumiko Saulson on August 8, 2012.